Dr. Thompson says, " The delicious fruit must be classed with the most wholesome of the vegetable kingdom." It is said of Fontenelle that he attributed his longevity to them, in consequence of their having regularly cooled a fever which he had every spring; and that he used to say, " If I can but reach the season of strawberries, I shall do well." Boerhaave regarded their continual use as one of the principal remedies in cases of obstruction, and viscidity, and in putrid disorders. Hoffman furnished instances of obstinate disorders cured by them, even consumption in its incipient stages; and Linnaeus says, that by eating plentifully of them, he kept him�self free from gout. They are good even for the teeth, and may also be used as a safe and effectual dentrifice. They cool the stomach, the liver, and the spleen, quench thirst, and regulate the kidneys. The juice dropped into foul ulcers, tends to cure them. It is good to stay catarrhs, or de�fluxions of rheum in the lungs. 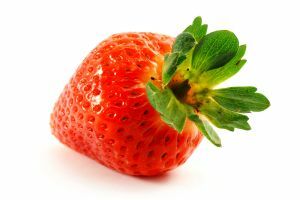 The juice is good for inflamed eyes, if dropped into them.Strawberries make a good wash for inflamed parts, and take away redness of the face, spots, etcetera.